If you missed it, the Hackaday Supercon 2018 badge was a complete retro-minicomputer with a screen, keyboard, memory, speaker, and expansion ports that would make a TRS-80 blush. Only instead of taking up half of your desk, everyone at the conference had one around their neck, when they weren’t soldering to it, that is. The killer feature of the badge was its accessibility and hackability — and a large part of that was due to the onboard BASIC interpreter. And that’s where Jaromir comes in. Once Voja Antonic had finalized the design of the badge hardware for our conference in Belgrade in the spring of 2018, as Jaromir puts it, “all we needed was a little bit of programming”. That would of course take three months. The badge was battle-tested in Belgrade, and various feature requests, speed ups, and bugfixes were implemented (during the con!) by Jaromir and others. Firmware work proceeded over the summer. Ziggurat29 helped out greatly by finding ways to speed up the badge’s BASIC interpreter (that story is told on his UBASIC and the Need for Speed project page) and rolled into the code base by Jaromir. More bugs were fixed, keywords were added, and the three-month project grew to more like nine. The result: the badge was in great shape for the Supercon in the fall. Jaromir’s talk about the badge is supremely short, so if you’re interested in hacking a retrocomputer into a PIC, or if you’ve got a badge and you still want to dig deeper into it, you should really give it a look. We don’t think that anyone fully exploited the CP/M machine emulator that lies inside — there’s tons of software written for that machine that is just begging to be run after all these years — but we’re pretty sure nearly everyone got at least into the basement in Zork. Dive in! Electronic conference badges are now an accepted part of the lifeblood of our community, with even the simplest of events now sporting a fully functional computer as an eye-catching PCB on a lanyard. Event schedules and applications are shipped on them, and the more sophisticated ones have app libraries and support development communities of their own. The trouble is that so often those badges fail to live up to their promise, and one reason behind that stems from the enormity of the task facing a badge team when it comes to firmware for a modern badge. There is some fascinating news from the Netherlands that might reduce some of those firmware woes though, badge.team is a freshly-launched project that provides a ready-made badge firmware with the promise of both stability and long-term support. If you’re making a badge, or even a one-off device using the ESP32, this is a project worth checking out. It’s funny how the hardware we design can sometimes reflect so much on the creator. Voja designed then-Yugoslavia’s first widely used home computer (and published the DIY plans in a magazine!). Thousands were built from their kits. The Galaksija was a Z80-based design with a custom BASIC that was just barely squeezed into the available 4K of ROM. So you shouldn’t be shocked that the retro-badge has a working keyboard and a nice BASIC on board. But let’s jump ahead to the Cube, because that’s even more of a passion project. 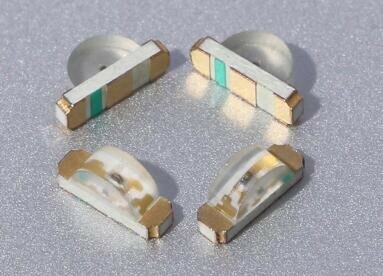 On the outside, they’re very simple devices, with only a USB port and a sweet diffused LED ring visible. Aesthetic? Minimalistic? Beautiful, honestly. Unlike the Belgrade badge, which is programmed in BASIC, this new badge is programmed in uLisp, a subset of common lisp designed for microcontrollers. Let’s face it, BASIC is retro, but Lisp is even more so, only pre-dated by FORTRAN as the oldest high-level language. So, if you’re into retro-style programming on small devices (physically small, that is), you should consider building one of these. A 16 MHz ATmega 1284P serves as the badge’s brain, allowing storage for 2,816 Lisp cells, while the 256×64 pixel OLED display shows 8 lines of 42 characters in 16 gray levels. A full complement of I/O connections includes four analog inputs, two analog outputs, I2C, SPI, serial, and a handful of GPIOs for interfacing with just about anything. Power comes from a LiPO battery, which at a nominal voltage of 3.7 V doesn’t quite meet the datasheet requirements for running the processor at 16 MHz, although it seems to work fine in practice. Really cautious builders could opt for a 12 MHz crystal transplant to avoid any possibility of problems. The keyboard layout is optimized for uLisp programming: unnecessary keys have been removed and the all-important parenthesis are afforded their own dedicated keys on the bottom row. This is presumably for convenience of use, but we suspect this will also make it easier to replace the parenthesis key switches when they inevitably wear out from overuse [obligatory Lisp/parenthesis joke]. As far as entering uLisp programs, you can simply use the keyboard. The built-in editor buffers a full screen of text, and includes parenthesis matching that highlights each pair as you type. We’re guessing that we won’t see Emacs implemented in the near future, so this bracket management is a great feature for a badge-based editor. If you find the keyboard difficult to type on, you can also enter programs over the serial port. The other thing we really like to see is open-source projects. [David] doesn’t let us down on this point, either. The Eagle design files for the PCB as well as the source code for the badge are available on GitHub. The PCB is also shared on OSH Park, and there are detailed instructions for installing the bootloader and uploading the code. 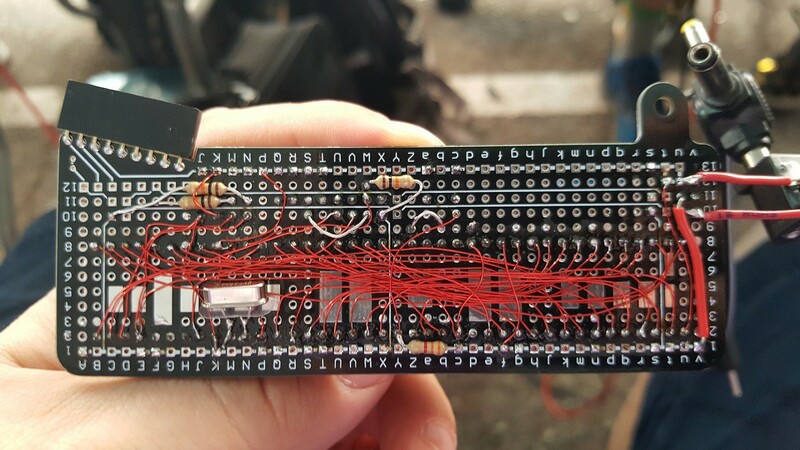 If programmable badges is your thing, also check out the 2018 Hackaday Supercon Badge, the successor the Belgrade design. Thanks to [Sven] for the tip! Supercon badge hackers had to be ready to present their show-and-tell by 6 pm Sunday evening. This ruthless unmoving deadline meant every badge hack on stage represents an accomplishment in time management, and some luck, in addition to their own technical merits. But that deadline also meant a few fantastic projects lost their race against the clock. We were rooting for [Jac Goudsmit] to build an Apple I emulator as his badge expansion, but he wasn’t quite done when our badge hack ceremony began. After Supercon he went home, finished the project, and documented everything in a detailed writeup. Our 2018 Supercon badge is built on a retro-computing theme, and the default firmware came with a BASIC interpreter as well as a Z80 emulator running CP/M. So an Apple 1 emulator should feel right home with its contemporaries. Mechanically speaking, all the parts were a tight fit on the badge expansion board given out to every attendee at Supercon. So tightly that [Jac] had to file down the two main chips in order to fit them side by side. 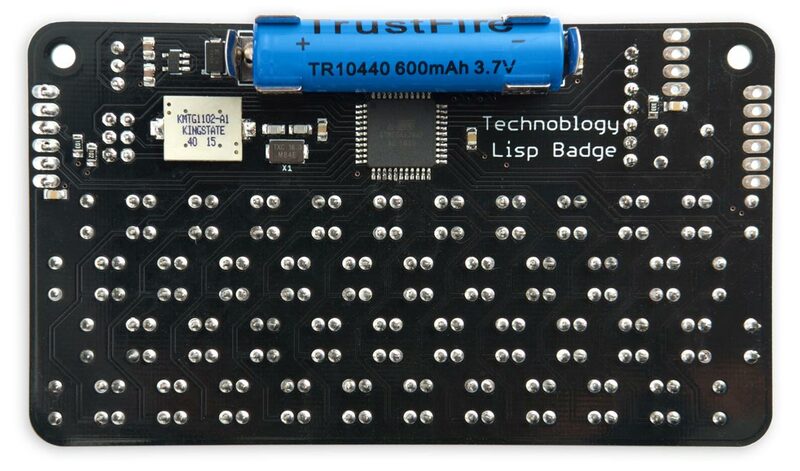 The breadboard-like pattern of connected holes on the expansion board, intended to help ease in beginners for their badge hack soldering, proved to be an inconvenience in tightly packed arrangements such as this. 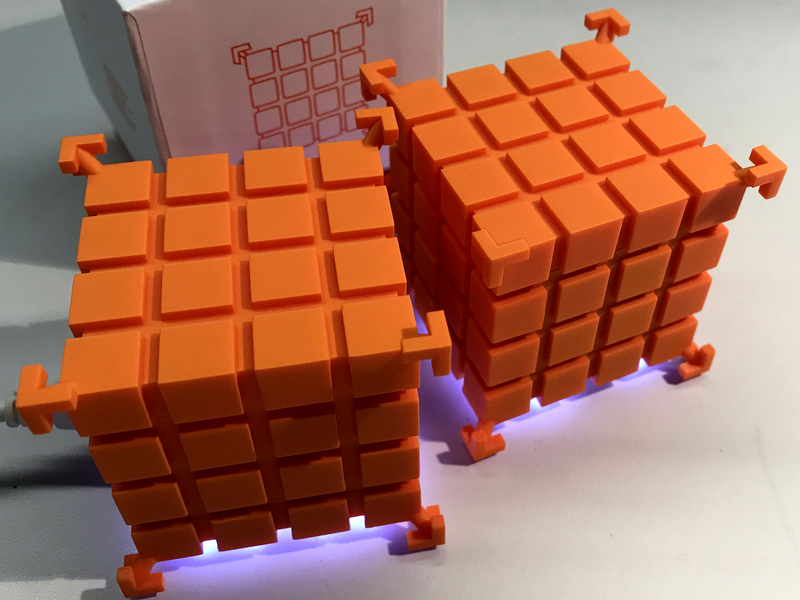 With all the work [Jac] had invested, it was heartbreaking to know he was only five minutes of soldering and 30 minutes of coding away when time ran out. Time pressure was part of the challenge faced by every Supercon badge hacker, and while we’re sad [Jac] missed the deadline for stage time we’re happy to see him finish and write it all up. We hope every badge hacker would write up their stories of frantic weekend projects. Those who do so on hackaday.io are encouraged to tag their project with “Supercon” and get them added to our list of badge hacks for everyone to admire.